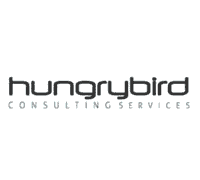 Fresher Trainee | Walkin on 8th Jan 2018 | Hungry Bird Consulting Services Pvt Ltd.
Hungry Bird Consulting Services Pvt Ltd.
We are hiring for multiple clients for International/Domestic BPO's/ IT/ ITES for Various organisation in Hyderabad, Bangalore, Chennai, Mumbai, Pune. 1st round will be telephonic shortlisted will be sent call letter for interview will all the details. Candidates are requested to bring - 2 copies of resume, 1 passport size photograp, PAN (Mandate), Voter ID OR Passport OR Passport acknowledgement slip.